Bicycles parked outside a traditional brick building. This photo was captured far away from any tourist site, near the fringe of Brugge's formerly-walled city. 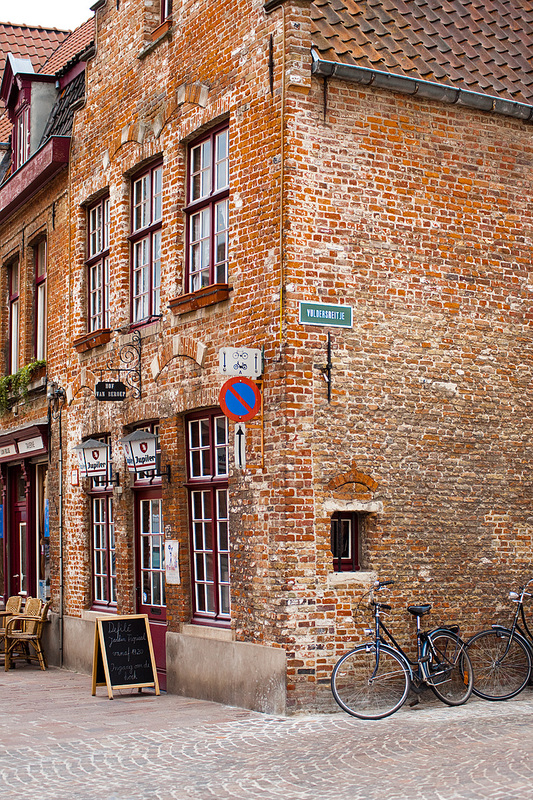 It's a typical neighborhood bar in a small residential area of Brugge. For the European visitors to this site, I imagine this scene is of little significance. As a North American, however, I come to Europe specifically to seek immersion in stereotypically traditional architecture such as this. The reason may be the result of watching old movies. But equally likely, it's perhaps the inferiority complex derived from a largely European-biased education that waxes nostalgic about Old World traditions and history.